I’m choosing to live by the saying “better late than never” and actually update my blog, despite the fact that I’ve now been home in Spokane for two weeks. My last few weeks in Germany were an emotional whirlwind, and sitting down to write a blog simply wasn’t on my list of priorities. But now I’ve got some time on my hands, and I still believe in the value of reflection, so here’s a write-up of my final trip to the North Sea. My boyfriend Sven and I set out on July 17 for the small coastal town of Neuharlingersiel, about five hours to the north. 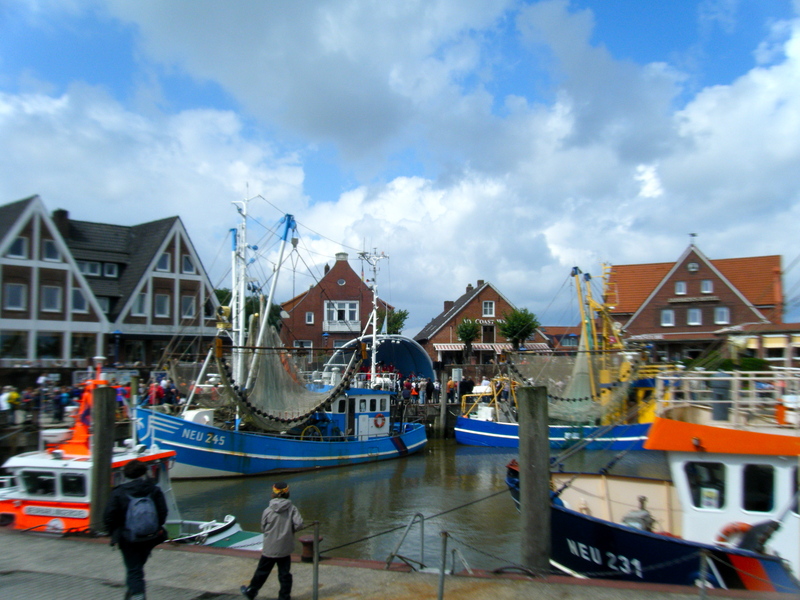 His parents had recommended it to us as an alternative to more crowded coastal cities like Cuxhaven. The drive up was largely uneventful, though it was a nice way to see some more of Germany. This was also my first time doing any significant traveling in Germany via car, which meant it was also my first time on the fabled Autobahn, Germany’s interstate system best known for its segments without speed limits. I wasn’t nervous, but it was pretty strange to be going 80 miles an hour and still have cars blowing past us on the left, going well over 100 mph. We arrived in the early afternoon on Sunday. We had about an hour to kill before we could check into our hotel, so we parked the car and walked around the town center. I immediately fell in love. 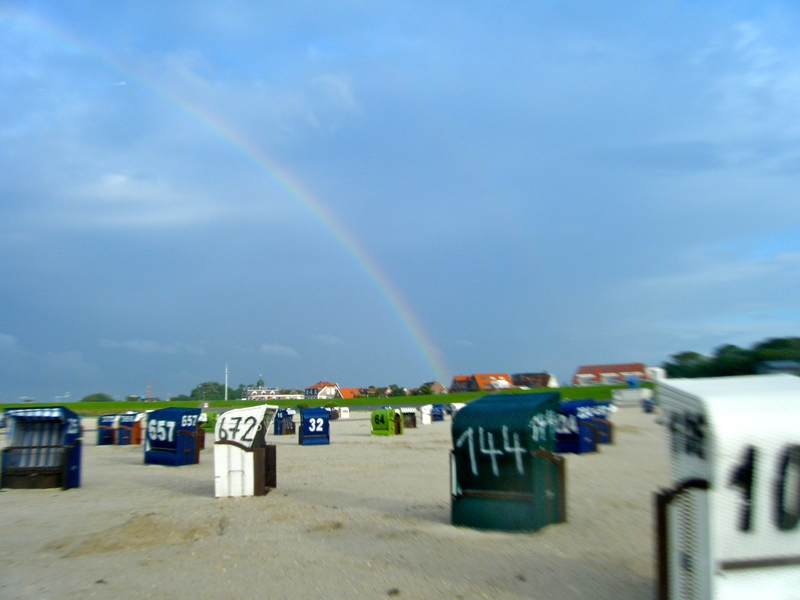 Located right on the North Sea, Neuharlingersiel was tiny and adorable. The architecture in the north is definitely distinct from the rest of Germany–most noticeably, brick is used much more often in buildings than anywhere else in Germany I had seen. Northerners also have a distinct German dialect, similar to how Bavarian German is distinct from the German spoken in other parts. There is a small inlet centered within the town where several fishing boats were docked, giving the town authentic nautical credibility. When we first arrived, there was a choir concert going on, so the town center was full of people listening and singing along to the traditional German folk songs the choir was singing. Sven admitted to knowing the lyrics but was unfortunately too cool to sing along. After we checked into our hotel, we got some fish sandwiches at a seafood stand (yum!) and sat along the port, enjoying the fresh ocean air. We then walked along the beach. One distinctive part of beaches along the North Sea is the plethora of colorful beach chairs that could be rented by beachgoers. They weren’t very popular while we were there, but the weather was never quite nice enough to lay about on the beach and play in the water. 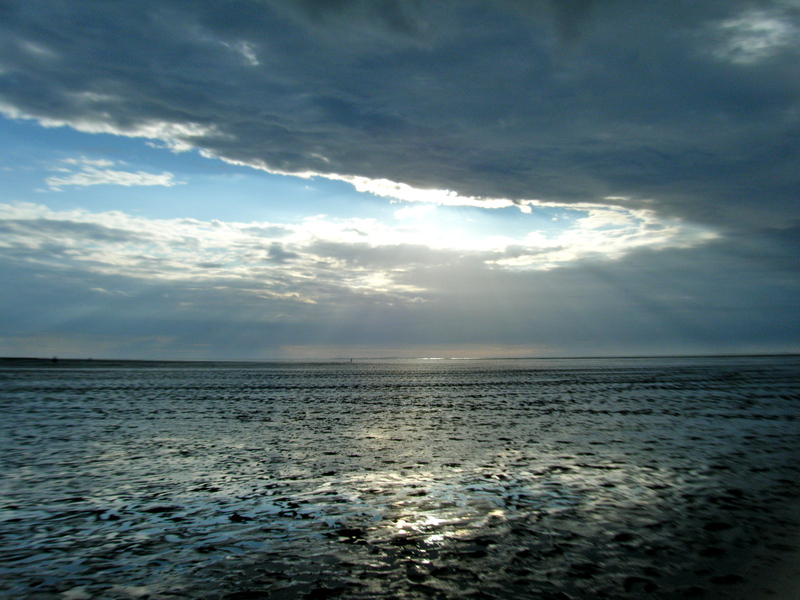 This part of the North Sea (called the Wattenmeer) is probably best known for its extreme tide changes–when the tides went out, they drew back literally miles, creating extensive mud flats that are perfect for exploring, provided you have the proper shoes (rubber boots proved invaluable). We explored the flats several times during our stay, wading through the mud and checking out the mollusks, crabs and seagulls. On Monday we took a trip to Wilhelmshaven, about a 45 minute drive. Wilhelmshaven is a major port city for Germany’s navy and home to its naval museum, which was our reason for visiting. I didn’t find the city itself terribly nice (it was largely destroyed in WWII and overall just seemed very drab) but the museum was much more interesting than I expected. It had a particularly cool exhibit featuring photos taken by Lothar-Günther Buchheim, author of Das Boot, during his time on a U-Boat in WWII. We also got to tour a submarine (from the modern era, though) as well as a modern naval battleship. The rest of our time in Neuharlingersiel was spent wandering on the beach, taking walks along the grassy dykes that lined the coast and eating fish. One thing that was strange about the town was that it was definitely touristy, but in a way that caters to German tourists, not international ones. It was the only place I had ever traveled in Germany, besides Sven’s village, where I was literally the only non-native German speaker around. Heads were constantly turning every time I spoke to Sven in English. Probably they were scared word was getting out about their adorable coastal havens and that the international tourists would soon be descending en masse. Fear not, German tourists. Your secret is safe with me. The trip was perhaps less eventful than other ones I had taken, but this was not a bad thing – it was incredibly relaxing and wonderfully enjoyable to just spend time along the coast, watching the ocean and eating delicious food. Benefit of all the rain - rainbows!